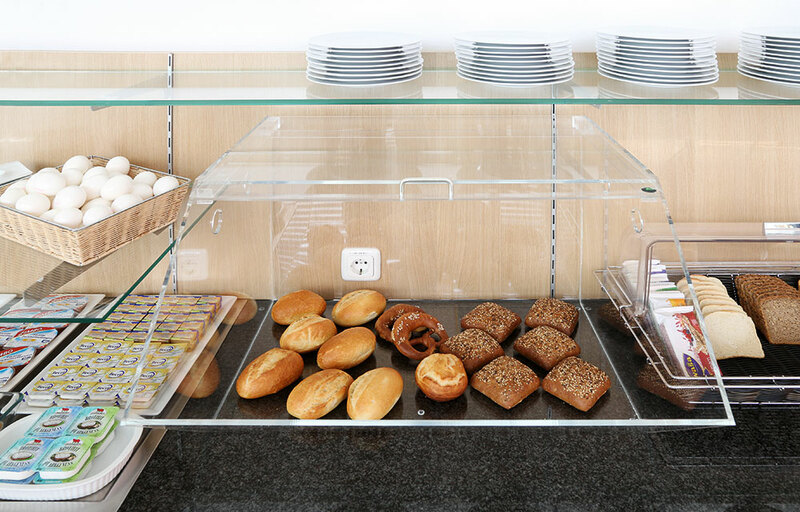 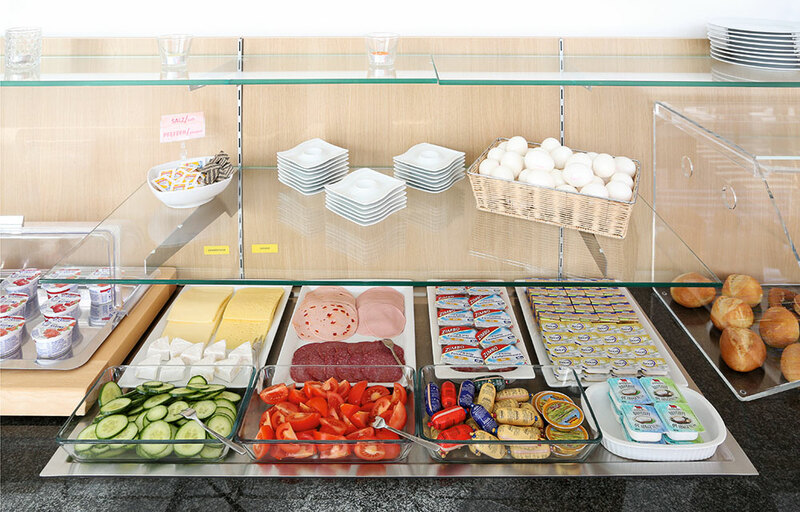 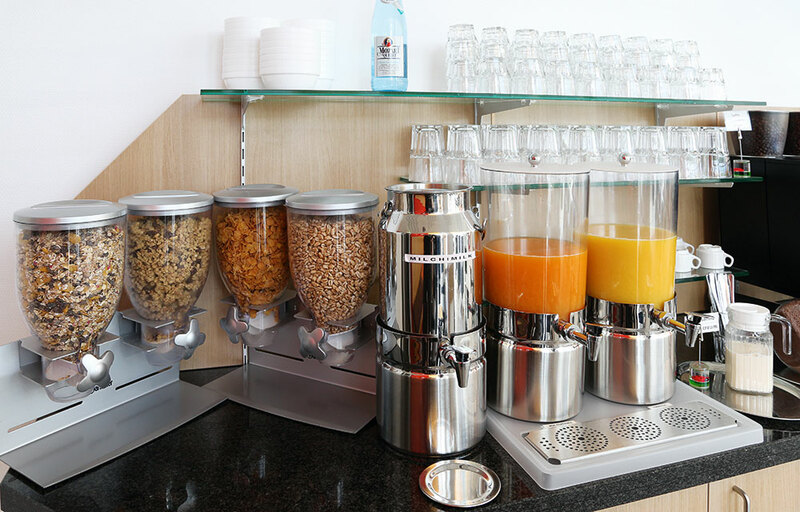 Start your day with a delicious continental breakfast. 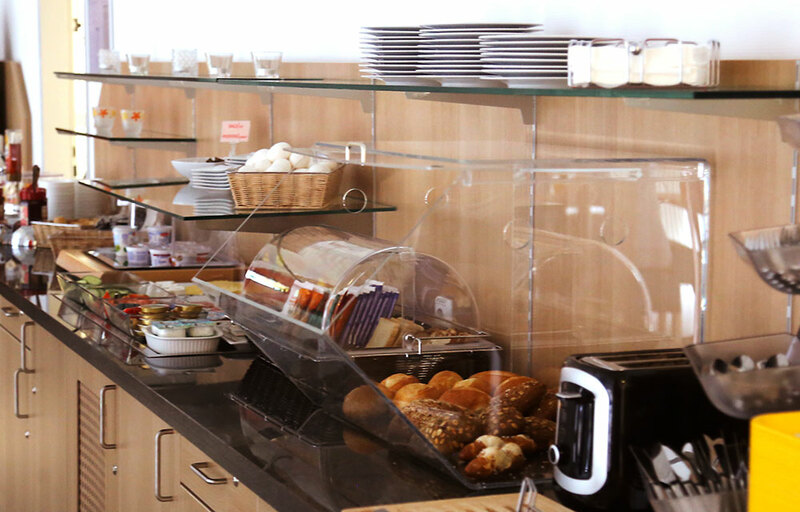 We offer rolls fresh from the oven, tasty italian coffee – and such a broad variety of attractive food items on the buffet, that you will be surprised. 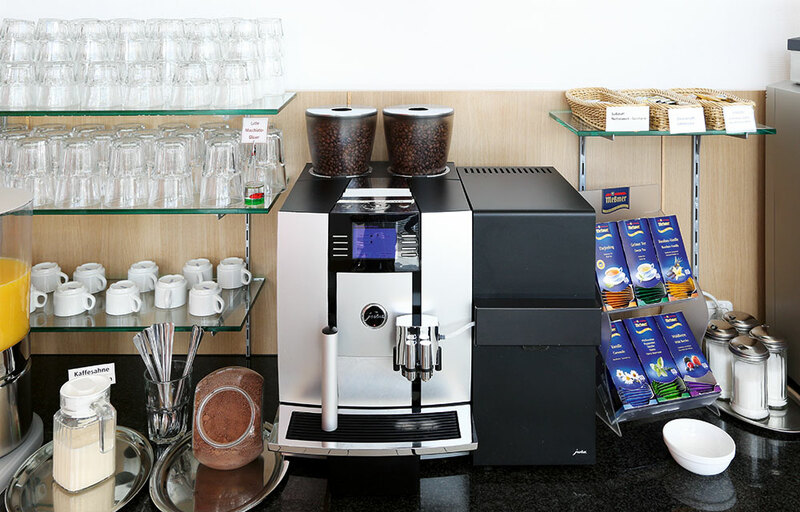 Because you will not find such quality and diversity in any other 1-star-hotel. 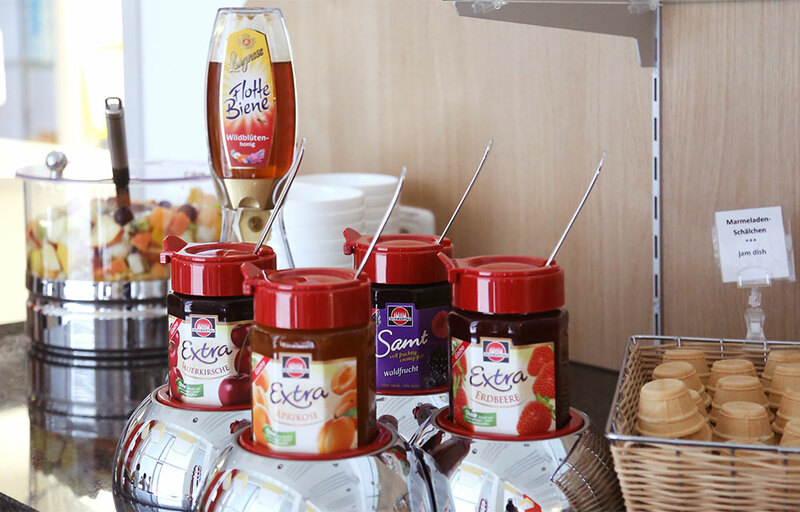 Please contact reception before you enter the breakfast room. 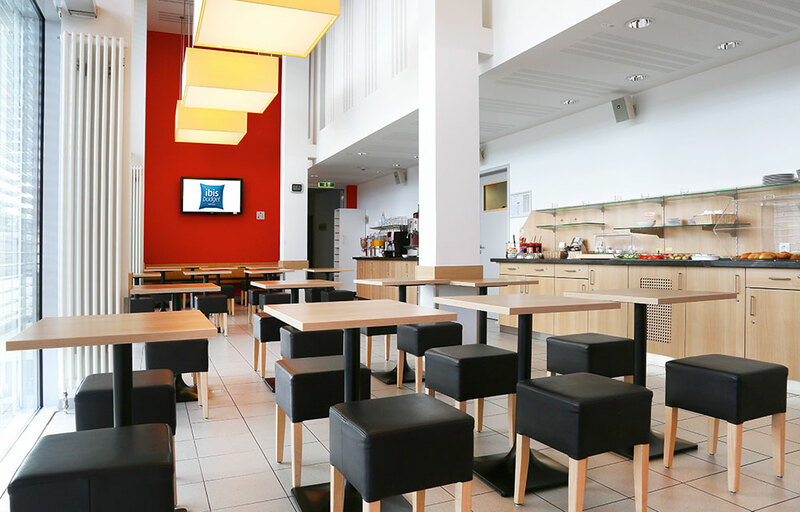 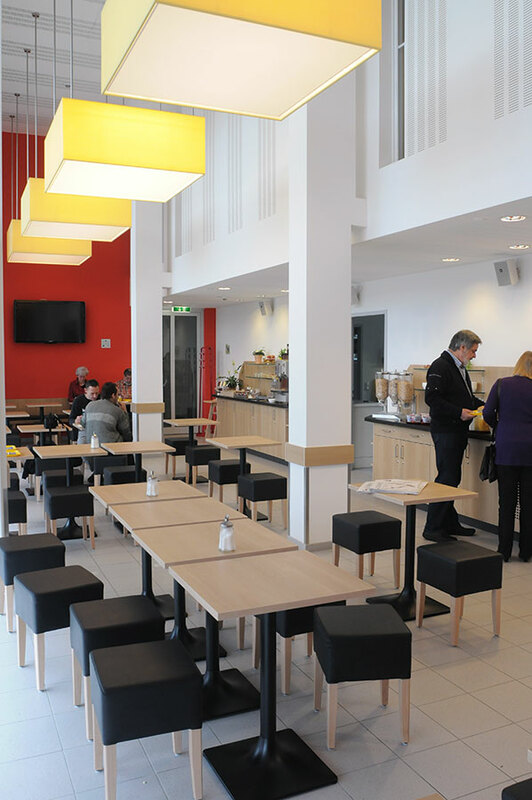 For 7,50 Euro only you will have a great time in our spacious, brightly lit cafesteria on the ground floor.